I was pleasantly surprised to learn about this via twitter. 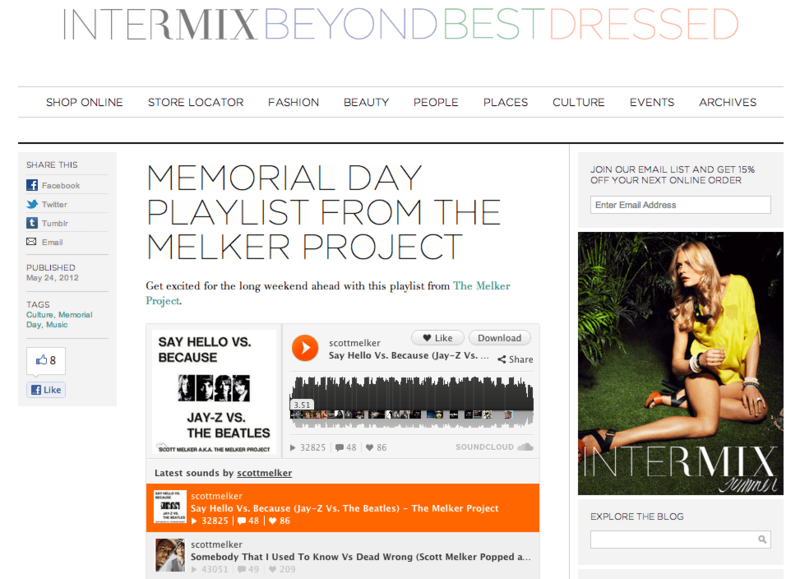 It seems that the amazing store INTERMIX chose to share my soundcloud page as their recommended soundtrack for Memorial Day weekend. Check it out here!